Comité des Citoyens, most famous for being the group that organized member Homer Plessy's violation of railroad segregation laws on a train in 1892, was a group that advocated for black New Orleanians in the post-Reconstruction period. Most famous for being the group that organized member Homer Plessy's violation of railroad segregation laws on a train in 1892, the Comité des Citoyens was a group founded by Rodolphe Desdunes and Louis Martinet, with aid and advice from Aristide Mary. Each of these men was engaged in the intellectual work and activism required to resist dangerous forces afoot in the late nineteenth century, forces that would (further) diminish the full humanity of black citizens in the post-Reconstruction period. The Comité des Citoyens was a voice in support of an empowered form of Black identity that its members felt was slipping away as Americanization gained a firmer grasp on postbellum New Orleans. As current New Orleans activists battle to remove monuments that empower the legacy of enslavement, and that memorialize direct action by Redeemers against the Reconstruction government in Louisiana, perhaps we can memorialize instead the collective effort of people who resisted the reductive thinking that is at the heart of American white supremacy. Members of the Comité des Citoyens were militant, recalcitrant, and defiant. In their newspaper, the Crusader, Desdunes speaks to these values of the Comité as he addresses these words to Judge Ferguson and his allies in 1893: “No theory of white supremacy, no method of lynching, no class legislation, no undue disqualification of citizenship, no system of enforced ignorance, no privileged classes at the expense of others can be tolerated, and, much less, openly encouraged by any citizen who loves justice, law, and right." In his 1911 book presenting prominent Creole residents of New Orleans, Desdunes makes clear the radicalism of his people and his history—of our people and our history—when he says: “It is more noble and dignified to fight, no matter what, than to show a passive attitude of resignation. Absolute submission augments the oppressor’s power and creates doubt about the feelings of the oppressed." 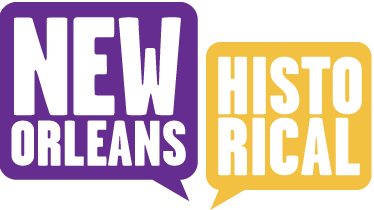 Our monuments should celebrate the Creole radicalism that is a fundamental part of our history. 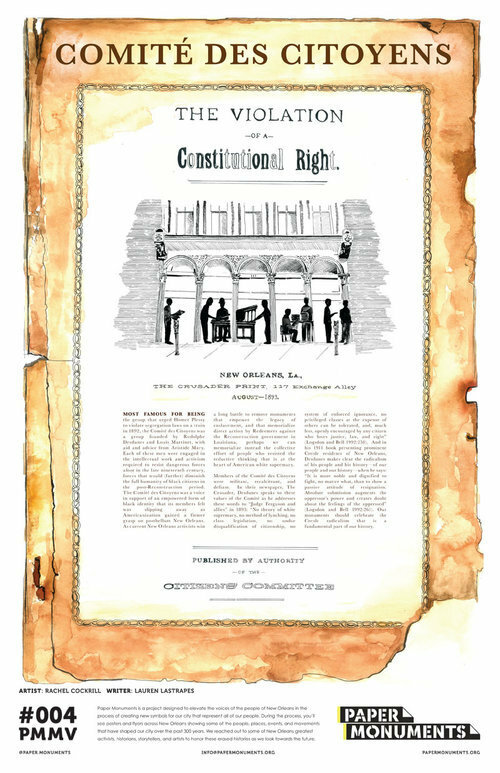 Paper Monuments, Rachel Cockrill, artist, and Lauren Lastrape, narrative, “Comité des Citoyens,” New Orleans Historical, accessed April 19, 2019, https://neworleanshistorical.org/items/show/1405.